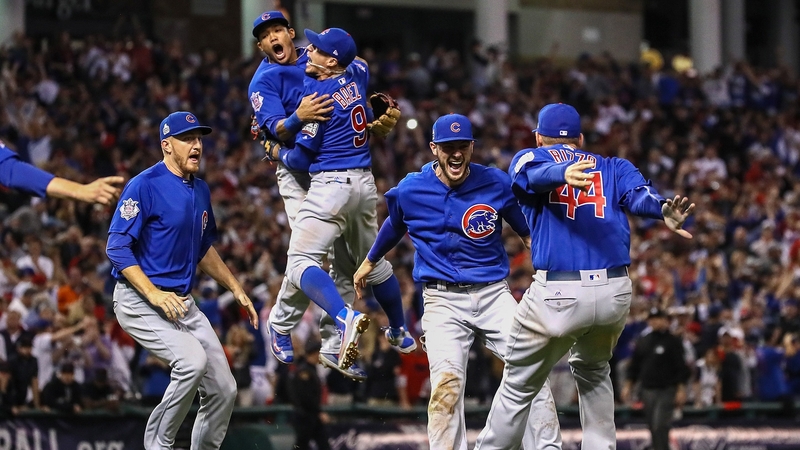 Witnessing the Chicago Cubs win the World Series was truly a momentous, heart-stopping, exhilarating experience. Coming from a family of lifelong Cubs fans, I didn’t even know if it would be possible in my lifetime to see the Cubs win the World Series. Tears welled up in my eyes as I watched the jubilant Cubs players rush onto the field, jumping in the air, embracing each other and whooping it up. I whooped too, high-fiving my son, Andrew. I had sat with Andrew for the final two innings, praying nervously on the couch. When the camera panned over to fans for either the Cleveland Indians or Cubs, it seemed everyone was praying. Everyone watched breathlessly. Everyone appreciated the talent, hard work and perseverance by every player on the team. At the conclusion, what impressed me were the comments made by Joe Maddon, the Chicago Cubs manager. “I have to compliment the Cleveland Indians on playing a great game,” he said. He went on to speak well of the competition, and their excellent performance on the field. No one on either team bad-mouthed the other side. Both teams respected the skills, hard work, and perseverance it took to make it to the World Series. And fans from both teams respected each other. That was exactly what was on my mind during the game. The qualities of respect, integrity and decency stand in sharp contrast to our current political situation. What are we teaching our children? I remembered back to my childhood, when Grandma Helen told me harrowing, unbelievable stories about how she had to hide out from the Cossacks during her childhood in Russia. Her frequent hiding in the woods caused her to contract jaundice, and it was her sister Sheyndl, who nursed her back to health. During Grandma’s stories, I was relieved those dark times were past. I felt safe in my bed in the early ‘60’s. Russia was far away. The Cossacks were gone. And we lived in the free world of America. Fortunately, most of Helen’s family made it out of Russia in time, before World War II began. But Sheyndl never made it. She stayed behind with her husband and children. They couldn’t believe anything terrible would happen. Their eldest daughter was getting married. They didn’t know English and were concerned about uprooting their family to emigrate to America. My middle name — Cheryl – was given to me to remember Sheyndl, whose entire family perished in the Holocaust. Now, I’m wondering what happened to my earlier vision of America. It seems to be broken. I want to pick up the pieces that I found at the World Series games. Why can’t our world’s leadership demonstrate the same great values that we saw at the World Series? Why does it feel safer to talk about your favorite baseball team than to discuss politics with a stranger? Why do people refuse to put a political sign on their lawn in concern for what people might think? Why can’t political candidates represent the highest values just as our world class baseball players perform at their highest capacity? I am doing my best to be positive. Think positive. And pray for a better world. In my quest to spread positivity among youth, I’ve been moved to write books about real people who embody outstanding values. I recognize the impact of negativity in our media. If we want our world to attract more positive events, we need to reflect those positive values ourselves. That extends to writing motivational, inspirational and empowering stories for children, so they can believe in the best within themselves. While it took close to two decades to complete, I never gave up on my dream to be the author of a world-class, best-selling children’s book. Eventually, after almost twenty years, the children’s book, “Dancing With Tex: The Remarkable Friendship To Save The Whooping Cranes” became published on June 6th, 2016. When I held that beautifully illustrated book, I yelped aloud with joy. At LAST! To hold this dream in my hand was a precious gift. We all deserve to transform our dreams into a reality. Now, I”m preparing to launch a campaign for my book to be an Amazon best-seller on Cyber Monday. I plan to give a percentage of proceeds to one or two of the environmental nonprofit groups that contributed towards this book’s creation. Whether I make it or not, the key is — I’m going to do what I can and show others the importance of taking action towards our dreams. It is my hope that we, as a people, never give up on spreading positive values. It is what makes our country great. “Go Cubs, Go!” we sing from hearts overflowing with love and gratitude. Wouldn’t it be great if those qualities of being a World Series player extended to our political scene? Can you imagine how it would feel to have fans cheering happily and respectfully for candidates from each party? What would it be like if everyone could be kind to one another? “Go America, Go!” we could sing. Let us hope it happens soon.